In this unique collection of Forty Hadiths on Poisonous Social Habits, Yahya Ondigoemulates the tradition of Imam an-Nawawi and other great scholars. He has compiled hadiths (records of the guidance) of the Messenger of Allah (peace and blessings of Allah be upon him) and briefly commented on each. This well-researched and thoroughly documented book offers both Muslim and non-Muslim readers a clear understanding of how the divinely-inspired words and actions of Prophet Muhammad (peace and blesings be upon him) apply to our contemporary societies. Such social ills as lying, greed, corruption, smoking, gambling and others have been discussed along with their social implications. 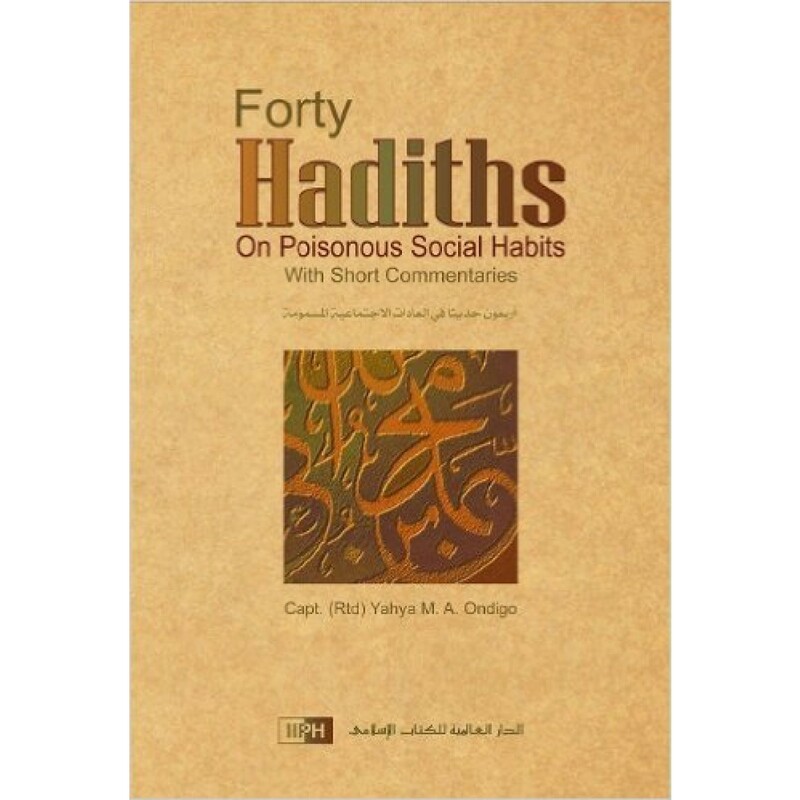 After elaborating each issue, the author has offered wise and insightful advice to get rid of that particular social habit. In this beautifully-worded piece, his deep faith in Islam shines through along with his love and concern for humanity. 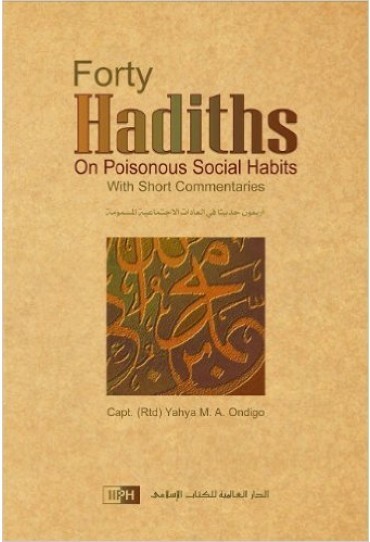 This compilation is meant to awaken our realization of the causes and effects of these poisonous habits so that perhaps we may be reminded, take admonition, and try to change our situations. As is the rule, Allah will not change the condition of a people either from bad to good, or vice versa, until the people change what is in themselves.